"THIS is a global shift ... we are just a small part of it, unless we can do what we can to get ahead of it now, we are going to be left behind." 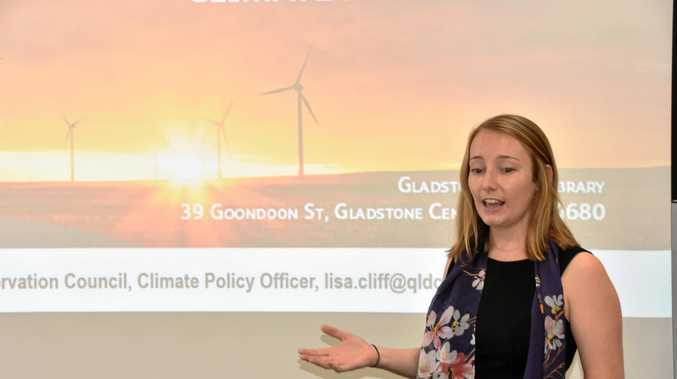 These were the words of Lisa Cliff, Queensland Conservation Council (QCC) climate policy officer at a climate policy forum held in Gladstone yesterday. Ms Cliff said since Queensland was planning to get to zero net emissions by 2050, Gladstone along with everywhere else, would need to adapt. When asked what workers at Gladstone Power Station should do she said she would encourage them to talk to their employer about transitioning into another job. However her overall message was a positive one. 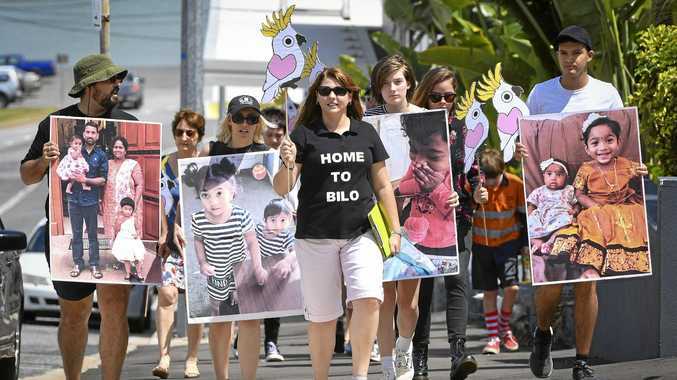 Ms Cliff said everybody had the right to have their say on the issue and the more people involved and educated about the Queensland government's policies in this area, the better. Anna Hitchcock of Gladstone Conservation Council coordinated the event. She said the most noticeable direct impacts of climate change Gladstone will likely experience would be an increase in the height of storm surges, causing flooding, and a change in ecosystems affected by higher temperatures. "Ecosystems run on a narrow range of temperatures, insects need a narrow range - you can have extreme effects on your ecology with a couple of degrees change," she said. "If we don't talk about (climate change) we can't plan for the future. "We're all going to be knee-deep in salt water." The forum attracted 15 people including retired teacher and businessman Hugh Bridge who has a strong interest in renewable energy. "It's been interesting, it's been good to talk to people from both sides, I think it was educational for all of us," he said. Mr Bridge said, as the Queensland government faces opposition to switching to renewable energy, it was important to remember that no fuel source was infallible. With coal, he said, "there is the prospect the (coal trains) can be blocked by some sort of failure of the system, a cyclone or whatever. All (power sources) are intermittent to whatever degree." QCC will compile a report out of the feedback from forums organised by nine conservation council branches across the state. The report will inform the government's next Climate Transition Strategy, which should be released by 2020.